FRDM-KL46Z Click shield is an extension for Freescale's FRDM-KL46Z development platform. 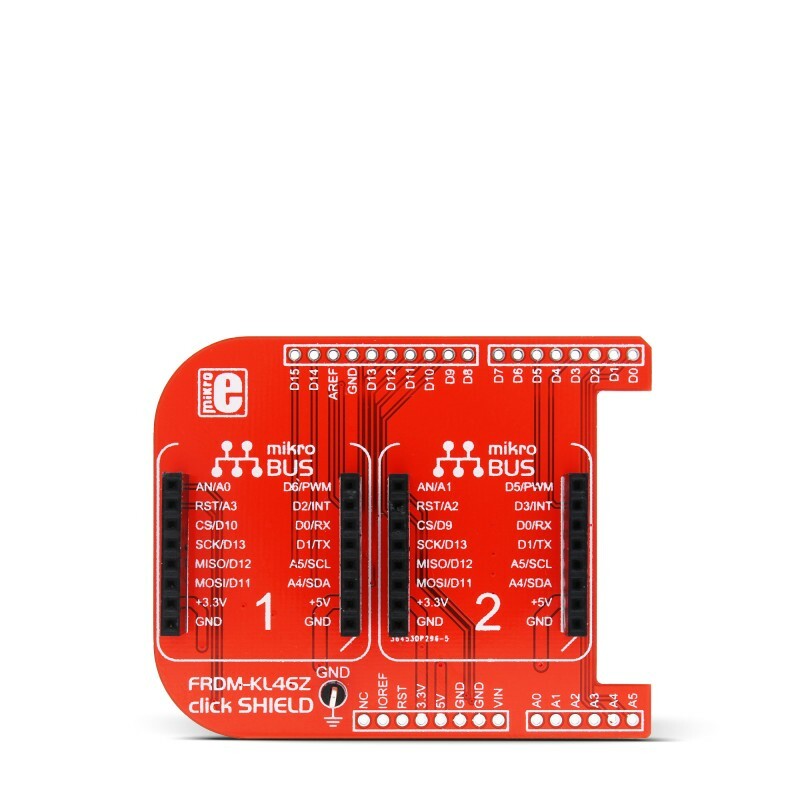 It's a simple shield with two mikroBUS host sockets that allow you to interface more than 100 different types of click boards with the Kinetis L series KL4x MCU aboard FRDM-KL46Z. 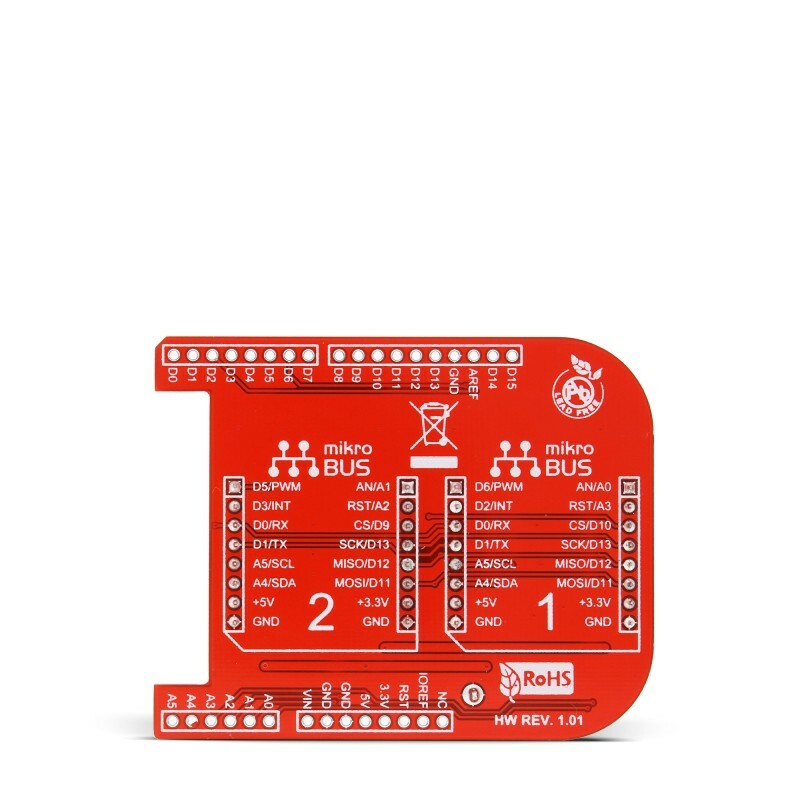 Quickly add functionalities like GSM, GPS, WiFi, ZigBee, Bluetooth, or thunder detection, proximity and color sensing and so on. 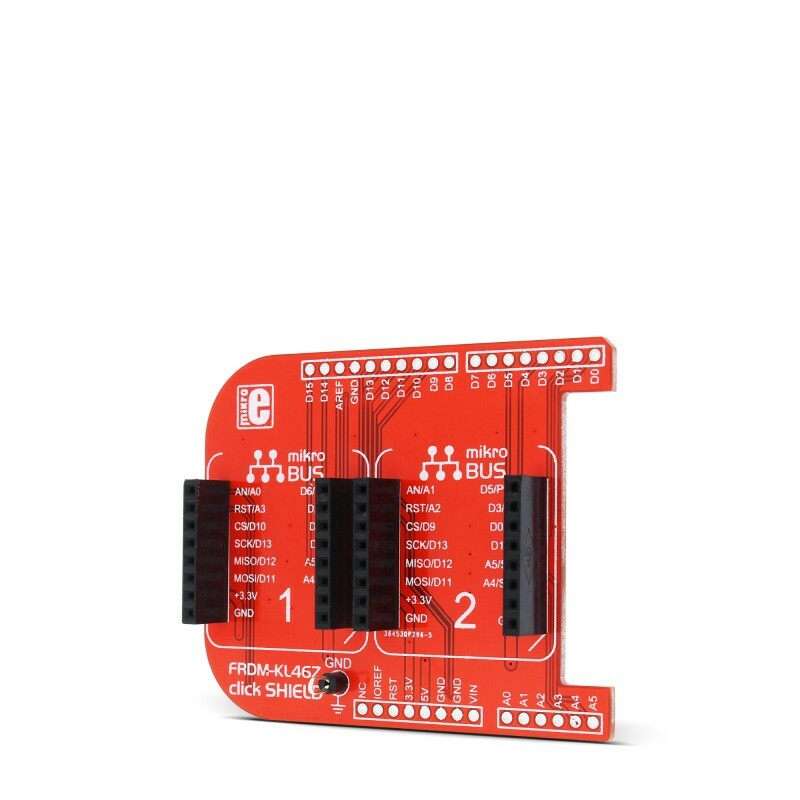 The package includes two 1x8 headers, and single 1x10, and 1x6 headers.